From site selection to overarching design and construction concepts, Crescent Heights incorporates sustainability into nearly every aspect of development. Crescent Heights takes significant measures to protect the environment and considers sustainability an integral part of the firm’s brand standards. Our new construction projects, which are built to achieve LEED certification from the U.S. Green Building Council, employ an array of green strategies, including sustainable site design, water use reduction, energy efficiency practices, and thoughtful material selection to both reduce environmental impact and protect indoor air quality. To decrease traffic congestion and carbon footprint, Crescent Heights focuses on transit-oriented locations and our residences often offer bicycle storage, car and bike-sharing options, electric car-charging stations, and access to various forms of public transportation. 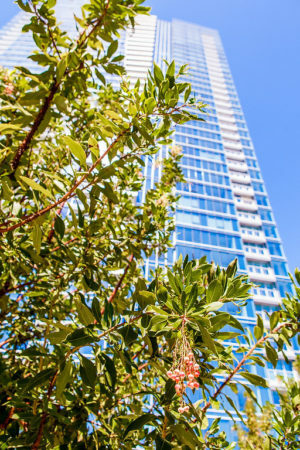 An excellent demonstration of our commitment to sustainable development is 600 Alton in Miami Beach, FL. Given the city's sea level rise challenge, increased permeability and flood reduction are priorities, and rigorous water retention and management best practices have been imbedded into the project's development plan.